Happened upon this site today and thought I'd share the link. 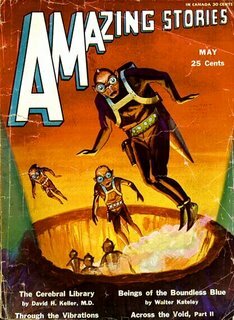 It's a rather large gallery of archived pulp covers. I wish the scans were a little larger, but the overall selection is fantastic. Plenty of inspiration to be found in this site. The site is in French, but it's still fairly easy to navigate.